1) Go easy on the eye drops. If you have fall allergies, you may already be stocking up on eye drops to alleviate some of your least favorite seasonal symptoms. However, our advice is to use these drops as sparingly as possible. While eye drops can provide initial relief from allergy symptoms, using them too much can actually irritate your eyes even more, or even cause an infection. If you need allergy relief, speak with your eye doctor about how often you should use eye drops (and, if you wear contacts, about which eye drops are contact-friendly!) - they will be able to direct you to a reliable brand of eye drops, while also providing recommendations for additional allergy treatments. 2) Keep your sunglasses handy. UV protection isn’t just for your skin; UV rays can cause vision issues, too. And even in cloudy cities like Pittsburgh, UV protection is a year long necessity. 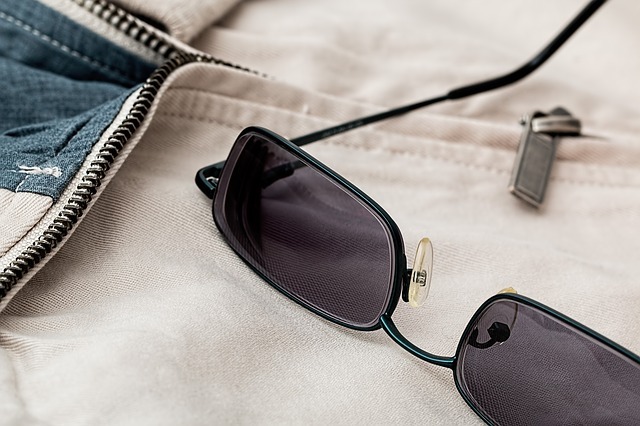 So any time you leave your house this season, make sure a pair of sunglasses is in your bag, pocket, car - wherever you need to keep them to ensure that your eyes get the UV protection they need. 3) Take out contacts at the end of the day (as well as when you nap).While contacts are a convenient vision aid for many, improperly wearing and using them is a huge eye health risk. Long-term wear of contacts deprives the eye of oxygen that it needs to stay healthy, and can increase your risk of developing eye infections; overnight use also often increases the risk of developing a corneal ulcer. So even if your contacts are approved for overnight use, you’re better off removing them and properly cleaning them if you plan on getting any amount of shut eye – it’s better to be safe than sorry! 4) Never sleep in eye make-up. Mascara or eyeliner may make your eyes pop during the day, but at night these products just have to go. At the very least, makeup can get into your eyes and cause irritation while you sleep. In worst case scenarios, though, makeup can clog the pores around your eyes, and may create styes that require antibiotics or surgical removal. Fortunately, simply investing in a makeup removal product and cleaning your face before you go to bed will help to protect your eyes from the simplest irritation - and will also keep you from needing to visit a doctor for makeup related issues. 5) Wear eye protection when necessary. While you may roll your eyes at the sight of a pair of goggles or similar protective gear, these items are a must when working with chemicals, with power tools, or in an environment that contains airborne debris of any sort. Wearing protective gear will protect your eyes from objects that could damage your eye if they accidentally come into contact with it. Remember, you only get one set of eyes during your lifetime - it’s worth looking silly in goggles temporarily when they’ll help preserve your sight for years to come! 6) Make healthy living choices whenever possible. Lots of the “healthy lifestyle” advice your primary care doctors gives you can benefit your vision as well as your physical health. For example, a balanced diet that focuses on fruits, leafy green vegetables and whole grains can help provide your eyes with the nutrients they need to stay healthy. A good night’s sleep can help your eyes recover from a long day of use and reduce the symptoms of eyestrain and fatigue that you might otherwise experience. Ditching a smoking habit will reduce your risk of developing macular degeneration, cataracts or even optic nerve damage. And regular exercise can help you reduce your risk of suffering from an illness that could possibly affect your vision, such as diabetes or high blood pressure. 7) Visit your ophthalmologist (if you’re due for an annual eye exam). If you’ve already visited with an eye doctor for a comprehensive exam in the last year, you can ignore this tip (for now!). But if you’re due for an annual exam, now is the time to schedule it. Remember, annual exams are about more than checking to see if your vision is 20/20 – they’re also about screening for developing issues that can seriously damage your eyes. And since many eye health issues can develop with no initial symptoms due to the lack of pain nerves in the eye, an exam is a must so that your doctor has a chance to treat any potential issues sooner. Each of these vision tips are relatively easy and simple ways to help care for your vision health, and the belong in the daily life of everyone and anyone. Of course, depending on your individual vision needs, your doctor may recommend adding some steps to this basic care routine. 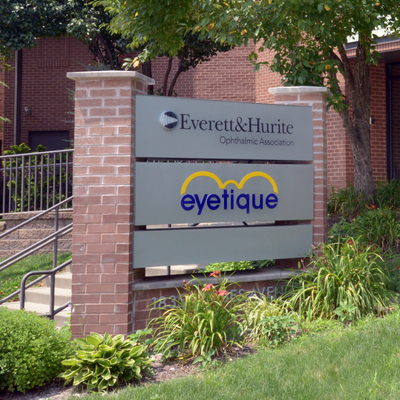 To ensure that you know exactly what you need to do to care for your eyes this season, we recommend speaking to your ophthalmologist here at Everett And Hurite. We are always happy to answer questions and to help ensure that your vision will remain as healthy as possible for as long as possible!